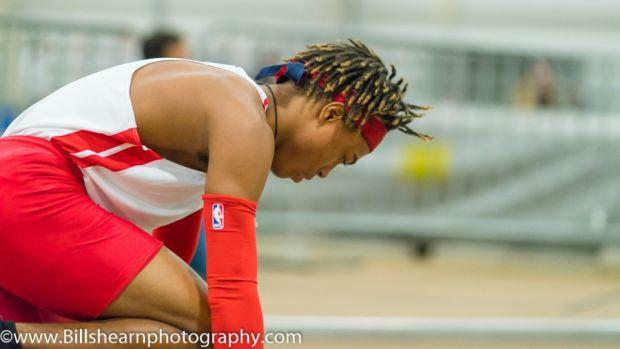 2017-18 was surely a legendary season in the 200 meters in Pennsylvania. Dock Mennonite's Austin Kratz rolled to a state title and eventually a national title, setting PA's indoor state record at 21.01 at the Armory. Kratz is off to Arizona State, and the door is open for a new sprint king to reign in the Keystone State. Savion Hebron of Neshaminy will look to be the one to beat. The senior was 11th at the indoor state meet last year, but went 21.89 at the Ocean Breeze Invitational in what was truly a legendary midseason matchup between PA's best in the event. That is the lone returning sub-22 second time. Hebron took second in the 200 outdoors in AAA and ran a best of 21.37 last season. He'll have his fair share of challengers in the event this season. A pair of state medalists from last indoor season are back. Bishop McDevitt's Tyler Byrd went 22.25 at states to place sixth. He should be in line for a big winter. Coatesville's Eric Kirk took eighth at states in 22.43. After a solid outdoor campaign last year, Kirk will also be in the mix for the top spot. Austin Montgomery of Norristown didn't race at states last year, but has the second fastest returning time in the state behind just Hebron at 22.18. If healthy, expect the junior Montgomery to compete with the top names in PA. Girard College's Donovan Sanders is another junior to watch for. He was ninth at indoor states in 22.48, just off a state medal. He was fourth in AA outdoors in the event and should be a factor this winter, too. The other returning indoor state qualifiers from a year ago are Central Bucks South's Michael Cannon Jr., Riverside's Calvin Wetzel, and State College Area's Cohen Russell. Cannon went 22.40 at Ocean Breeze last winter, the No. 4 returning time in the state.